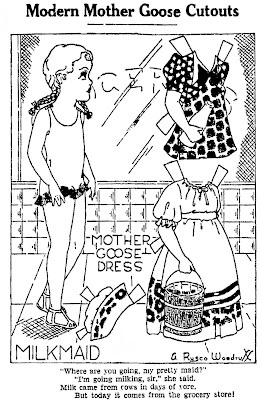 September 09, 1937. 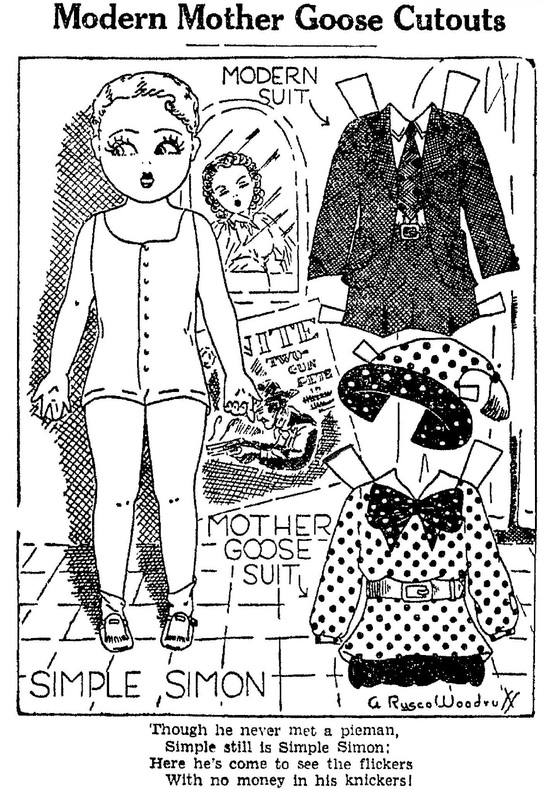 Here is SIMPLE SIMON with his mother goose suit and his "modern" suit. August 26, 1937. "Where are you going, my pretty maid?" 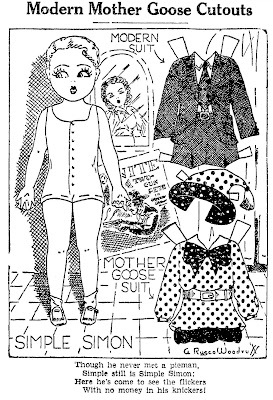 The MILKMAID and SIMPLE SIMON, two more fun paper dolls by Addie Rusco Woodruff.